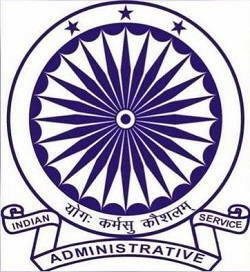 If the Government of India holds the responsibility of making, or breaking, Indian policies, the “All India Services”, within the Civil Services of India, functions to serve the Central and State governments in implementing, and administering, said policies, and in turn providing valuable feedback for any government decision-making process. There are three major services that fall under the All India Services machinery – the Indian Police Service (IPS), the Indian Forest Service (IFS), and finally what is considered the most competitive of all, the Indian Administrative Service (IAS). They form the bureaucratic backbone of the nation, neutral and without any political affiliation. The Civil Services, or its Civil Servants, date back to ancient times with its mention in the famous governing rulebook, Kautilya’s Arthashatra. In the relatively modern world, the East India Company introduced a system of covenanted (Higher Civil Services) and the uncovenanted (Lower Civil Services) officers, who were selected on patronage rather than merit. The Charter Act of 1853 did away with the patronage system and introduced a competitive selection to the Indian Civil Services (ICS). Satyendranath Tagore, the elder brother of Rabindranath Tagore, was the first Indian ICS officer. The structure of the ICS was retained post Indian independence. The modern-day IAS was created under Article 312 and the All India Services Act 1951. Reforms, over the consequent years, were aimed at improving the selection and training of Civil Servants. The First Administrative Reforms Act (1966) recommended written exams, interviews, and the creation of the Central Training Division. Subsequently, over the years and through various committee recommendations, the current pattern of examination was established. In 2005, the Second Administrative Reforms Commission introduced accountability through the Right to Information. It also increased local administrative powers, in addition to promoting participation of women in Indian administration. The Indian Civil Services, and its arm, the Indian Administrative Service, has thus maintained a prominent permanent presence in governance, for years. The individual states in India also have separate state-run Civil Service examinations for recruitment at the State level. In its most basic definition, an IAS officer assists the ruling government in its policy framing and administration. They are also responsible for implementing the policies and providing feedback to the concerned ministry about the implementation status and effects. Answerable to the Parliament and State Legislatures, they see to disbursement of funds in their districts, maintaining law and order, crisis management, revenue collection, and more. They begin their career with duties at a sub-divisional level. At the district level, they become the District Magistrate, Collector, or Commissioner. They may work at the State or Centre with the top-level IAS officers deputed as Cabinet Secretary, Joint Secretary, Deputy Secretary, Under Secretary, or positions at the State Secretariats. They may also serve as Head-of-Departments of various Public-Sector Undertakings. The job entails massive responsibilities and a unique opportunity to improve society as a whole. This is one of the most sought after public-sector positions in the country, for good reason. Besides the incredible power (albeit with appropriate regulations and accountability), occasional hob-nobbing opportunities with the political elite, it is also quite financially rewarding. Post the 7th Pay Commission, a junior IAS officer can make about INR 60,000 (per month) plus the possibility of additional allowances like House Rent (HRA) or Travel (TA). Most candidates are, however, housed in their deputized location, and provided with travel perks, making them ineligible for HRA and TA. A senior IAS officer, such as a Cabinet Secretary, can make about INR 2.5 lakh per month. What is the eligibility and other requirements? As expected, the exam is open to Indian citizens only, for IAS and IPS services of the ICS. Candidates are required to have at least an undergraduate degree from a recognized university – Central, State, Deemed or a foreign university recognized by the Association of Indian Universities. Candidates with a correspondence education or a qualification recognized by the Government of India are also eligible. Final year students are also approved for application to the first stage of the exam. The UPSC examiners are quite strict about the age limit. Only those within the age group of 21 to 32 years can apply. There is an age relaxation for OBC (3 years) and SC/ST (5 years) candidates. To top the competitive quality of the CSE exams, you can only have a few attempts to clear it. General category candidates have a total of 6 attempts to clear the CSE, OBCs have 9 years, and SC/ST candidates can have unlimited number of stabs at it until they reach their allowed age limit. How does one become an IAS Officer? To become an IAS Officer, you need to qualify the Union Public Service Commission Civil Services Exam (CSE). The exam itself is conducted as a means to recruit civil servants to one of the 25 services that comprise of the All India Services (IPA, IFS and IAS), Central Services (IRS, Railways, etc) and Group B services. The exam is considered to be among the toughest in the country, if not in the world. Among the lakhs of candidates who apply for the exam, only a thousand some manage to break it into the Indian bureaucracy. The success rate of the UPSC Civil Service Exam (CSE) is thus less than 1%. The exam itself is structured into three parts – the Preliminary (Civil Services Aptitude Test – CSAT), Main Exam, and finally the Interview. The table below shows the statistics of the number of candidates going in between 2013 and 2015, compared to the number that finally qualified (Source). Candidates, finally selected, were only of the order of a thousand. Staggeringly steep, the competition requires some serious preparation, often for years. You can apply online on the UPSC website. The instructions are also available on the UPSC website, or at various Post Offices across the country. The application deadline is usually around February/March. The table below lays out the format and syllabus for the three stages of the CSE. Prelims Paper I is counted for merit rank while Paper II is simply qualifying by nature. The results are announced after, upon which qualified candidates appear for the CSE Main Examination in October. Qualifying candidates are shortlisted for a Personality Interview for 275 marks. The market is teeming with IAS preparatory material and books. While it is humanly impossible to cover all, there are certain well-known books that are useful in making a headway towards qualifying the exam. Some of the books and associated topics include NCERT preparatory books for UPSC exam, India’s Struggle for Independence by Bipin Chandra, Indian Economy by Ramesh Singh, Essays for Civil Services by Pulkit Khare, India Year Book for current affairs, Pax Indica by Shashi Tharoor, and more. The details of syllabus coverage are shared in the Appendix of the UPSC Examination Notice (page: 124-196). Here’s a snippet of the type of questions to be expected at the Civil Services Main examination (as gathered from 2017 UPSC CSE). Write a 600-word essay on one of the following – “Recent Economic Reforms in India”, “Threats to the Environment”, “Uses and Abuses of Social Networking “, and “Caring for the Aged”. Sentence reconstruction, sentence formation, passage comprehension and analysis, and more. Clearly, the road to success is filled with extreme hard work, tremendous dedication, and almost super-human reasoning, memorizing, and analytical abilities. Becoming an IAS officer thus entails almost miraculous capabilities garnering them the nickname of being heaven-born. But maybe it has also got to do with the fact that they shoulder the responsibility of making our society better for all of us. So, if you think you have it in you, give it a shot (or about as much as 5 more!) and maybe you will get a chance to become the next Magistrate Madam cutting the ribbon to a new hospital you championed in your district. I am a UPSC aspirant, I have started learning and studying about ancient India and various schemes that govt of India has initiated, so what else can be studied further. Please assist. The article pretty much sums up the syllabus, in the tables, as has been specified on the UPSC website. For further information, and updates, you should probably refer to the UPSC page. Hope this helps. Hello,I’m ram,I’m first year student of English literature. how can i train myself to become an IAS?